Dwight Spradlin is in his 21st season in the NFL, his 20th season with the Tennessee Titans and his 15th season as Titans assistant director of media relations in 2019. Spradlin’s primary responsibility is to help coordinate media coverage for the team, acting as a liaison for the front office, coaches and players with members of the local and national press. Among his other duties, he authors the club’s weekly in-season press releases, assists with the team’s social media efforts, serves as co-editor of the annual media guide, contributes to TitansOnline.com and coordinates the press box staff on game days. Spradlin has worked two Super Bowls (XXXV and XLVI) and one AFC Championship Game (2005) as a member of the NFL’s public relations staffs. Additionally, he worked seven consecutive Pro Bowls with the NFL from 2012 through the 2018 season. A native of University Park, Md., Spradlin graduated from Lipscomb University in Nashville. He broke into professional football as an intern with the Arena Football League’s Nashville Kats in 1999, and later the same year, he worked in the Titans’ entertainment department as the team advanced to Super Bowl XXXIV. 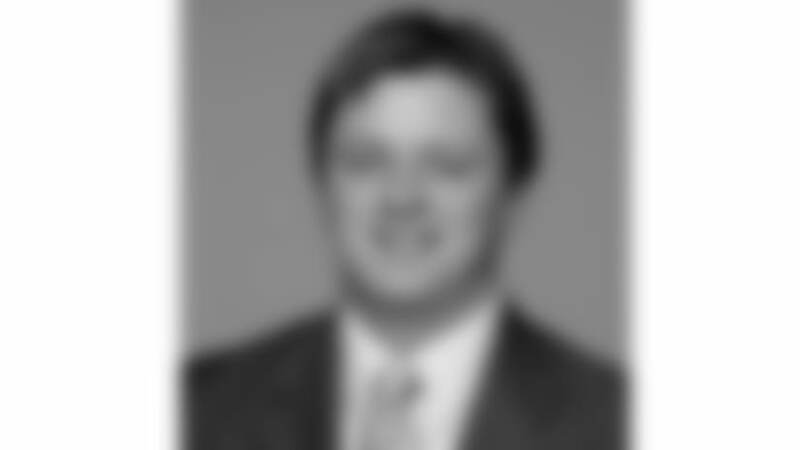 In 2000, he served as a season-long intern in public relations with the Green Bay Packers. He returned to the Titans in 2001 as media relations assistant, a position he held through the 2004 campaign. He and his wife, Natalie, reside in Brentwood, Tenn., with their daughter, Harper, and their two sons, Tucker and Cole.